We offer Carbon steel Weeding Trowel to our clients. - weight approximately 210gm. Best quality with hardwood handle blade length approx. 200mm. Procured from the trustworthy manufacturers, our products are known for their lightweight, easy handling and zero maintenance. This heavy-duty trowel is hand-forged by a blacksmith in Oregon who has over 15 years experience in making such high quality tools. This trowel is a tool that will last a life-time. Being hand-forged, each trowel is basically one of a kind. 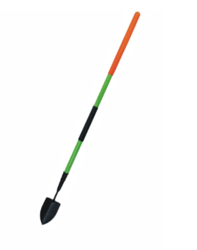 It is sure to handle all of your digging needs in your flower beds, garden or vegetable beds. 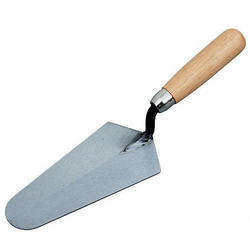 Our organization is one of the leading manufacturers and exporters of Garden Trowel Set. This set of five is available with an optional plastic handle. Color of the handle can be chosen by the clients. We are into manufacturing and supplying of high quality transplanting trowels which are available to our clients at highly competitive prices. These are manufactured by using high grade steel and can be provided in customized sizes to meet the varied requirements of the clients.